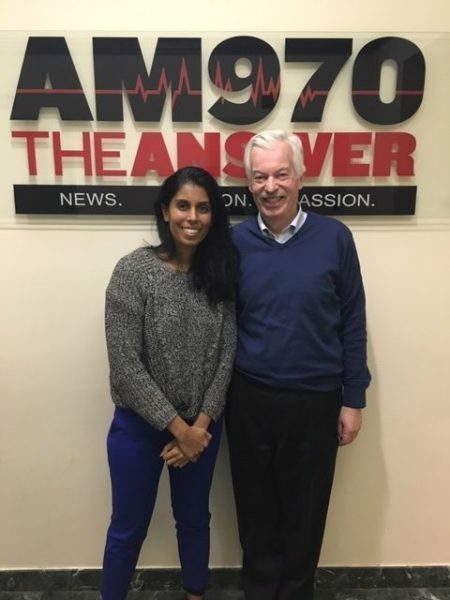 The following is a conversation between Jina Krause-Vilmar, President & CEO of Upwardly Global, and Denver Frederick, Host of The Business of Giving on AM 970 The Answer WNYM, in New York City. Jina: Good evening, and thanks for having me, Denver. …is this really in line with the promise of America? Are we really leveraging and creating opportunity to incorporate people’s talent so that we encourage prosperity for everybody? Out of that, Upwardly Global was born. Upwardly Global, we are about unlocking opportunity for immigrants, refugees, and asylees to fully contribute to the America workforce and our communities. Denver: Tell me about the mission of Upwardly Global and what the organization was created to do. Jina: We have a founding story. Our founder, Jane Leu, worked in refugee resettlement, and she went upstate to a chicken factory to see where refugees were getting employed. When she visited, the manager was incredibly excited to introduce her to two of his best employees. One was an Iraqi engineer; the second one was a Bosnian surgeon. They were managing the chicken line. She came away from that experience thinking, “What a waste!” But she also came away thinking, “Is this really in line with the promise of America? Are we really leveraging and creating opportunity to incorporate people’s talent, so that we encourage prosperity for everybody?” Out of that, Upwardly Global was born. Upwardly Global, we are about unlocking opportunity for immigrants, refugees, and asylees to fully contribute to the American workforce and our communities. Denver: Who is the population you serve? And what are some of the primary countries of origin that they come from? Jina: We serve immigrants, refugees, asylees, and SIVs. Thirty percent of our population are people who are fleeing persecution. Those are refugees, asylees, and then special immigrant visa holders. That is a community of Afghanis and Iraqis who have served the US Government or the US Military, and because of their service, are threatened at home, and therefore can come to the United States. That’s 30% of the people that we serve. The other percent is our immigrants. The countries they come from, our largest countries for this past year, in 2018, was Iraq, Russia, Columbia, Iran, Afghanistan. A lot of these people end up working survival jobs, so as cashiers, at construction sites or servers in restaurants, and yet they happen to be engineers, IT specialists. A lot of them, they communicate to us: they hide that part of their identity because it’s hard for them to cope with the fact that this is their new reality, and yet they’ve got this whole history that isn’t validated or valued or recognized. Denver: As you mentioned, they are severely underemployed in many cases. What’s the impact that that has on a person’s psyche…their sense of self-worth? Jina: I think what’s important to remember is that a lot of people come here without having any social network, including a professional network, so they really are alone. That feeling of being alone in a context where you’re eager to contribute, but the doors are closed, does create a sense of lack of self-worth, depression. A lot of these people end up working survival jobs, so as cashiers, at construction sites, or servers in restaurants, and yet they happen to be engineers, IT specialists. A lot of them, they communicate to us: they hide that part of their identity because it’s hard for them to cope with the fact that this is their new reality, and yet they’ve got this whole history that isn’t validated or valued or recognized. Denver: These rapid attachment jobs, which we sometimes thought as being successful, but they really aren’t. … how do you actually do a US job search through a cultural lens? How do you do a resume? How do you do a cover letter? How do you do the interview? How do you network? That is very different from culture to culture, and understanding how to do that in the United States. The last piece I would say is: there is bias amongst employers around foreign education and credentials and foreign work experience. That can also be a barrier to seeking opportunities for jobs that they’re qualified in, but an employer has a difficulty understanding the value of a University of Baghdad, versus an NYU or University of Connecticut. In addition to not having that social network, what are some of the biggest obstacles that these refugees encounter when they seek employment that would be requisite with their level of skills and education? Jina: Some of it is licensing and credentialing and understanding when you need to get re-licensed or credentialed. For those that we work with in healthcare or engineering, which are more regulated, in the market, understanding how to navigate that; some of it is the English language. The population we work with has English language proficiency, but that’s very different from being able to work in a professional environment and having that workplace professional English language level. Another piece is soft skills around: How do you actually do a US job search through a cultural lens? How do you do a resume? How do you do a cover letter? How do you do the interview? How do you network? That is very different from culture to culture, and understanding how to do that in the United States. The last piece I would say is: there is bias amongst employers around foreign education and credentials and foreign work experience. That can also be a barrier to seeking opportunities for jobs that they’re qualified in, but an employer has a difficulty understanding the value of a University of Baghdad, versus an NYU or University of Connecticut. Denver: They are not highly prized, these degrees, from some of these countries in a way they would be if they came from an American university. Talk a little bit about the resume because: How have you seen, let’s say, the resumes that would be typical in many of these countries that you mentioned before, and how different they would be here in the United States? Jina: In a lot of other countries, it’s very common to put your picture. It’s very common to put marital status. It’s very common to put a lot of personal detail that you would not have on a US-style resume. The length of the resumes are often multiple pages when they come to us. It’s not concrete and succinct, really ensuring that the language in the resume clearly aligns with the job description to ensure that they’re communicating what the fit is, and really talking about the relevance of their skills, versus an entire narrative about everything that they have ever done. Those are just a couple of the differences that we see, but they’re pretty consistent. Denver: I’ve even seen religion on some of these, which is a no-no in this country. Also, I wonder if in some of these cultures and societies, they just don’t have this aggressive pitching themselves, boasting about their accomplishments. They’re a little bit more modest about that. Jina: We’ve coached folks on the interview. As Americans, we’ve really prioritized optimism, and we really prioritize people who can speak to their personal contribution to the achievement of something, versus coming from it as someone who contributed on a team… and this is what the team achieved. What did you personally achieve to get that success? So, I think it is very culturally different. We’re much more direct. And including for: 46% of our population are women. A lot of them come from a cultural context where there are gender norms about how women communicate, and working with that population as well in terms of: How do you do salary negotiation? How do you look somebody in the eye? How do you give a firm handshake? How do you communicate? Your English might be fine, but how do you still communicate in a way that is direct and clear in order to get what you’re trying to get out of the conversation? Denver: That’s all so interesting. I wonder also if the prevailing narrative is an obstacle as well. I formerly worked for the Statue of Liberty-Ellis Island Foundation, and I know that prevailing narrative at Ellis Island was: the first generation comes; they toil at whatever job they can to make ends meet, and their whole goal was to create a better life for their kids and their grandkids. And that doesn’t really make sense when that first generation is either an engineer or a surgeon, does it? Jina: What’s interesting is, if we look at the one million immigrants that are coming or here in the United States today, 50% of them have college degrees. Two million of those immigrants who have college degrees from their home countries are unemployed or working survival jobs, so when they come to us, they’re earning on average $9,000 a year. The narrative very much is what you said: is your work experience, your education doesn’t matter at all because it wasn’t, it’s not in the United States, so you need to start from scratch. That narrative comes both from other immigrant communities that are here, as well as US-born communities. So, it’s pretty prevalent. I think the other narrative that we’ve been seeing the past couple of years is a lot of confusion around legal status and what the word “immigrant” means. Do you have to sponsor them? No. They’re immigrants, or they’re foreign-born Americans. So, reclaiming that definition or term immigrant to sort of say: it is not a big catchall for anybody who crosses the border to come to the United States. It’s specifically people who have come here legally and have status to be in the United States and are work-authorized. Those are two narratives that we’re seeing. Denver: I can imagine that’s the case because it gets so muddled that people in HR at a company say, “Let’s just stay away from it because we’re really not sure.” And sometimes they don’t feel like asking, so they just turn away and decide to do something else. You talked about when people come to you… How do they find you? How do they apply? Jina: People find us. We have been around for 18 years. So, we’ve got a great social network of our community. We also work in partnership with a lot of other community-based organizations. They find us that way. We also have a website and a Facebook page. To apply, we do have an application process because our focus really is working with people who are economically vulnerable, who are legal and work-authorized, and who have been here for five years or less– to help them rebuild their careers. We have an application process. You go to our website. You click on” jobseeker,” and you’re set. Denver: They come to you, and you provide a core series of training. We’ve touched on it a little bit, but talk a little bit more in terms of: What would happen when somebody goes through the program? Jina: For empowering our jobseekers, we have three mechanisms. One is, we use digital technology to really provide course work on all the things we talked about. How do you do a US-style resume, cover letter, interview? How do you do effective communication? How do you negotiate your salary? The second piece of that is one-on-one coaching…really an individualized approach with your coach who specializes in specific sectors. Our sectors are STEM, healthcare, business operations, admin, and education and mapping out what are – do you need upskilling? Do you need additional English language? The third is building up their professional network. We have a lot of employers who work with 350 businesses. We do networking events with them. We do mock interviews and informational interviews. That is a really great way for them to start meeting professionals, to start seeing themselves again as professionals, and acting that way and building up their professional network. That’s the combination we do with our job seekers. On the flipside, we also want to level the playing field. That’s a long-term approach. We work a lot with our employers. We have a community of employers, small to large, who have the commitment to the value of diversity, inclusion, and equity, and want to be true and authentic to that. We work with them on training around hiring and recruiting this community, demystifying myths about this community, introducing them to our talent pool, and then having them do what I like to call “equity in the making,” getting their employees in the same room with these low-income immigrants and refugees and interacting around informational interviews, or mock interviews, to realize that there is a connection, and that this is about making connections. Denver: That connection makes all the difference in the world because the refugees, they don’t too well in the abstract, but when they get in front of an employer, something magical happens and everything changes. Jina: Yes. What we’ve seen is, once an employer hires one person, that exponentially increases. But that first hire is probably the hardest part. We’ve got a great relationship right now with WeWork. We have been working with WeWork, both their HR and their diversity and inclusion teams, to say, “How do you look at your hiring practices? How do you train your hiring managers and your recruiters to really understand this community? .. And being able to get over some of those bias or discomfort issues around foreign degrees and foreign credentials… That is a conversation we’ve been having with them for about a year. We had one of our first hires last year, and I think this month, we’ve already had five more. Denver: That’s fantastic. Who are some of your other major corporate partners? Jina: We’re having a fun project right now with Standard Charter Bank. We are building out a women’s mentorship program where our immigrant refugee women can be mentored by their professional women. We have great relationships with Accenture; they have been a huge partner for us. Not only do they hire our talents. They’ve also created a mechanism through their diversity and inclusion, where if we feel like we’ve got a good candidate for an open position, their diversity and inclusion team will look at it and pass it on to hiring managers. We’ve been able to create a pipeline, so that this community can actually be considered for opportunities. Denver: I think this community brings a little something extra special to the workplace because I just think of what they’ve been through – the challenging circumstances, the complex environments, and I know employers are always looking for a little toughness and a little resilience, and I would imagine they have that in full. Jina: What we’ve seen in data is that refugees who are hired have significantly higher retention rates. They are very loyal employees. Denver: In addition to your partners on the corporate side– in terms of placing some of these individuals and really helping fill that skill gap that exists out there– how do you get your contributions? And who are some of your financial partners and contributors? 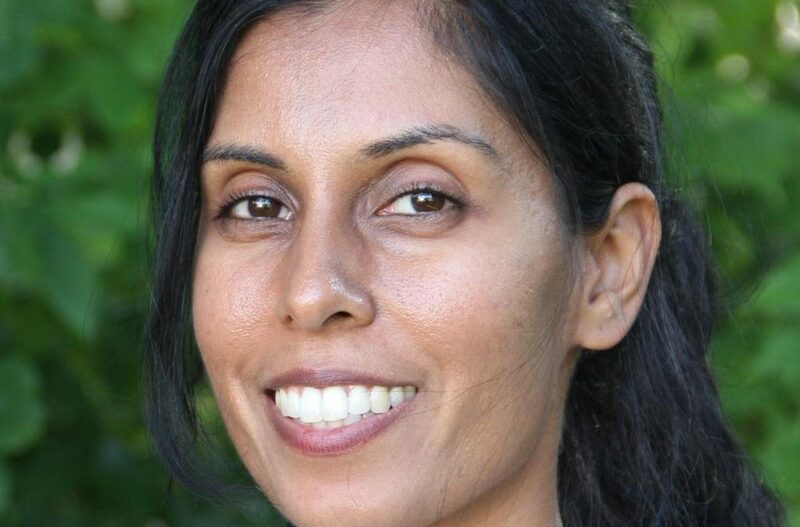 Jina: We get our contributions like everybody else, through individuals, through foundations. Our great foundation partners… we have support from Robin Hood, Tipping Point. We’ve got support also from our corporate partners, Cummins; Accenture is a big partner for us. But also we’re seeing that there is a discourse around women in the workplace, but also understanding that immigrant and refugee women face specific barriers, and we’re getting support also from partners like Chanel and the Chicago Fund for Women. Denver: One of the more interesting initiatives was this partnership you had with the Veterans for American Ideals. Share with us the thinking there, and what were you looking to achieve in that partnership? 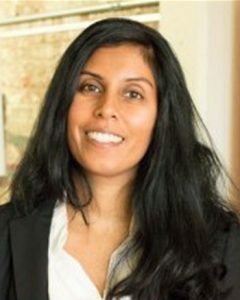 Jina: Veterans for American Ideals, one of the things that they support is this SIV community– these Iraqis and Afghanis who worked with US Military and US Government in their home countries and are coming to the United States because of persecution. And we’ve been working with them really to advocate for this community and to recognize that that should be a protected status. It’s been a great partnership. We’ve spent a lot of time looking at what works, what doesn’t work; and for what works, how much can that be digitized and using technology? What we’ve started to do is create a partition pathway, a pathway for folks who are working in community colleges, who are interacting with this population and don’t know what to do… looking for a pathway of digital content and products for workforce development boards who are interacting with this population and don’t necessarily know what to do. Denver: Upwardly Global has moved from hundreds, to thousands, and now to many thousands. But I know there is so much more to do. Have you given any thought about scaling the program? If so, how would you go about it? Jina: Yes. We’re really excited. We, actually last month, reached our 6,000th person… to rebuild their career. We are national; on average, they come to us at $9,000. They leave with $45,000 a year. In New York, that’s $55,000 on average, and 90s % retention rate after a year and 18 months. We’re very excited about those results. We are expanding our national markets, looking at – Seattle has a huge population. We’re looking at Texas and Florida as well. But the other piece about scale is really understanding: We’ve spent a lot of time looking at what works, what doesn’t work. And for what works, how much can that be digitized and using technology? What we’ve started to do is create a partition pathway, a pathway for folks who are working in community colleges who are interacting with this population and don’t know what to do… looking for a pathway of digital content and products for workforce development boards who are interacting with this population and don’t necessarily know what to do. We’ve got really great relationships, for example, with the State of Michigan. We’ve got relationships all around the country, with the Alexandria Workforce Development Board in Virginia, with the Community College System in Maryland, who are starting to adapt our curriculum and content and use it for themselves, so that we don’t actually have to do all the work ourselves, but that other institutions that are a natural entry place for this community can get the tailored, individualized services that they need. I think what’s important to recognize about this is that this is a community that gets left behind and faces specific barriers that the workforce system does not address, as it’s currently set up. What we’re trying to do is help those players in that workforce system really understand, but have the tools and the content that they need in order to address those specific barriers for this population. Denver: Wonderful way to have a multiplier effect. Some of those states you mentioned, not to mention others, refugees are really helping build some of the cities in those communities, right? Jina: Absolutely. I think some small towns in particular are completely revitalized because refugees have come in and are working the jobs where young people are leaving. They have a huge economic impact. I would say also for our immigrant population, we’ve helped 6,000 people rebuild their careers. They generate $252 million in taxes and consumer spending a year. That is a huge multiplier effect. If we also look at the fact that two million of these people are unemployed or working survival jobs, that is $10 billion in taxes that we’re losing out on as a country and as an economy from not really understanding how to create and open opportunities, so that they can get into the playing field. Denver: That’s quite significant. Describe the corporate culture of Upwardly Global, Jina, something you think that makes it really distinct… and what you believe makes it such a special place in which to work. Jina: We are a team that definitely believes in optimism, and to aspire and to help our community aspire and hope. Denver: How do you hire for optimism? Jina: We hire a lot of our alumni, that’s one piece. The other piece is, as you know, our staff comes from 20, represents 20 different countries. We speak 17 different languages. We are incredibly diverse, and we really believe in this idea of diversity and equity, and we take it quite seriously. Not only do we hire alumni, but we also hire a diverse team and really look for pathways for growth. Diversity is looking at: What are the number of heads in the room? Inclusion is looking at: How do you help those folks actually participate in decision making? Equity is about changing the rules and the corporate culture to actually allow for that community to contribute to those rules and that culture. Denver: Talk a little bit about diversity, equity, and inclusion and from what you’ve learned in your organization, what would other nonprofits be well advised to take away from your experience? Jina: One of the things we want to put out there is that diversity, inclusion and equity are three different things, and they’re really on a trajectory. Diversity is looking at : What are the number of heads in the room? Inclusion is looking at: How do you help those folks actually participate in decision making? Equity is about changing the rules and the corporate culture to actually allow for that community to contribute to those rules and that culture. At Upwardly Global, we do that by really working with our staff to have a voice in lots of different projects. We do a lot of joint brainstorming. Our teams are very much about joint problem solving. It’s not as vertical, but much more horizontal. It’s this idea that ideation and leadership come from every space in the organization, whether you’re a job coach, or you’re a VP of Programs. 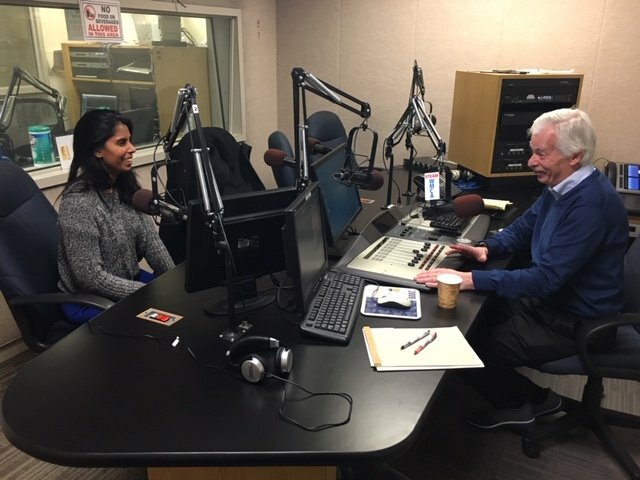 Denver: Let me close with this, Jina, I greatly admire the way Upwardly Global shares personal success stories of people who’ve been through your program and you’ve worked with. I think you do it better than most other organizations. Share one of those with us, if you would. Jina: I’d love to tell you about a young Venezuelan woman, Belkina, who came here as an asylum seeker. I think many of you well know that in Venezuela, there is a crisis that’s been happening for the past three to five years. There has been huge inflation, food shortages, oil shortages, violence, and political upheaval. She is a very unique woman. She came from a small community in Venezuela, where it was very unusual for women to leave the family unless they were going to leave to get married, and she left to get an education. She became a dietician. Found Upwardly Global and through our support, she is back in her field. She’s back working in a hospital. She’s earning an income and sending food packages back to her family in Venezuela. She is coaching other women about how to do this work. I love her story because not only does it show the resilience and the passion and the determination to contribute, but also this idea that she’s not only giving back to her family, but she’s also giving back to the community that’s here. Denver: And you have 6,000 of those stories, which is fantastic. Jina Krause-Vilmar, the president and CEO of Upwardly Global. I want to thank you so much for being here this evening. For those who want to learn more about your work, tell us about your website and the kind of information they’ll find there. Jina: You go to upwardlyglobal.org, and you’ll find information, not only on our programs. If you’re somebody who’s thinking about becoming a jobseeker, understanding if you’re eligible, what we offer. But if you’re also an employer, understanding what products and services we provide and how we can work with you to really diversify your workforce. Denver: Thanks, Jina, for such an interesting conversation. It was great to have you on the show.